Both homeowners and business owners in Joliet, IL trust the Experts at Polar Heating and Air Conditioning for all of their HVAC needs. You simply won’t find a better Joliet heating and cooling company! Our affordable pricing and quality work set us apart from the competition. However, we don’t expect you to take our word for it. Whether you need a repair, installation, or maintenance of any air conditioner, furnace, or boiler in Joliet, IL we look forward to earning your business. Let’s talk cooling. Air conditioning is essential to living comfortably during the hot summer months in Joliet, IL. While their are a lot of Joliet heating and cooling companies, none compare to Polar when it comes to pricing, quality, and satisfaction. Whether you are installing a new air conditioner, in need of an air conditioner repair, or simply need to have air conditioner maintenance performed on your current unit, we have you covered. Air Conditioner Installation in Joliet, IL: Whether you are building a new home, or you need to replace your old ac, you will find the best prices, equipment, and installation when you choose Polar for Air conditioner installation in Joliet, IL. We offer a FREE estimate on all new installations and we stand behind all work performed. Our Nate Certified technicians are experts in all aspects of residential and commercial cooling systems ensuring that your new air conditioning system is installed correctly to maximize efficiency and performance. Air Conditioner Repair in Joliet, IL: Your air conditioning unit can break down for a variety of reasons. If your ac is no longer cooling your home or business properly contact us today. When it comes to air conditioner repair in Joliet, IL Polar has you covered. We offer the lowest service call charge in the area, and we also provide a FREE second opinion for customers who have a written estimate from competing heating and cooling companies in Joliet, IL. Our technicians will take the time to explain the problem, and all solutions available to you. You can expect to be treated with the respect you deserve and receive the best possible prices on our Joliet air conditioning repair services. Air Conditioner Maintenance in Joliet, IL: Having your air conditioner maintenance performed yearly is essential to the operation of your unit. A small investment each year keeps your unit running smoothly all summer long. Not only that, but your air conditioner will run more efficiently which means you will save money. 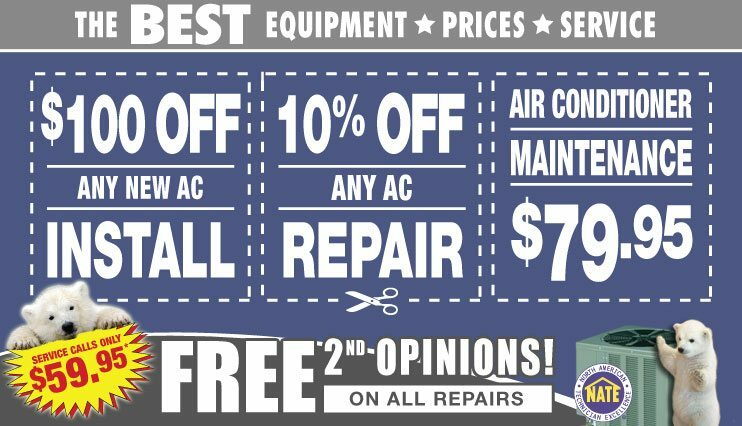 Contact us today to take advantage of our Joliet air conditioner maintenance specials. Let’s talk forced air heating and furnaces. The Experts at Polar Heating & Air Conditioning have over 65 years of experience with all aspects of furnace installation, furnace repair, and furnace maintenance in Joliet, IL. From tune-ups to 24 hour emergency repair, we have you covered. Experience the Polar difference and get the Joliet furnace service you deserve at a price you can afford. Contact us today for new furnace installation, furnace repair, and furnace maintenance, and see why Polar can’t be beat! Furnace Installation in Joliet, IL: When the time comes to install a new furnace, or replace your existing furnace you can count on Polar to do the job right at the right price. We understand that cost is among our customer’s biggest concerns. That being said, we never compromise quality. We install American manufactured equipment from Amana with lifetime replacement warranty protection. We will beat any written estimate on furnace installation in Joliet, IL. Contact us today for a FREE Estimate! Furnace Repair in Joliet, IL: When it comes to furnace repair in Joliet, IL it is hard to know who to trust. With so many heating and cooling companies to choose from, its important to do your homework. Fortunately, at Polar we offer all customers with a written estimate from a competing HVAC company’s written estimate – a FREE 2nd opinion. As a result, you get a second set of eyes on your furnace, and you will get a better price. We also offer 24 hour emergency heating repair in Joliet, IL as well. Furnace Maintenance in Joliet, IL: Schedule your furnace maintenance in Joliet, Il with Polar! We offer low pricing on furnace inspection and cleaning services that will keep your furnace running at peak efficiency. 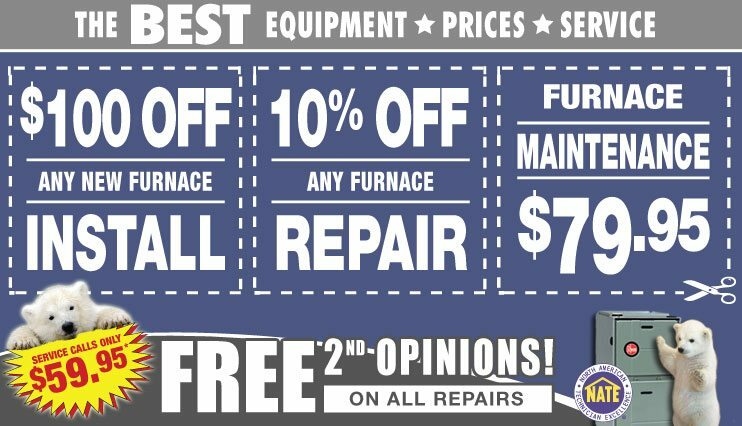 Avoid unexpected repairs and keep your warranty valid with our certified furnace maintenance. Save even more money by signing up for one of our SUPER SAVER plans. Contact us today for details! Radiant heating systems might make some heating and cooling companies in Joliet run for the hills, but not us! We install, repair and provide maintenance for all types of residential and commercial boilers. We even offer radiant heating solutions such as heated driveways and radiant floor heating. If you are interested in new boiler installation, need a boiler repair, or you need to schedule your annual boiler maintenance contact the boiler experts at Polar Heating & Air Conditioning today! Boiler Installation in Joliet, IL: Are you Installing a new boiler? Do you need to replace your current boiler? If so, you can expect the best from the experts at Polar. 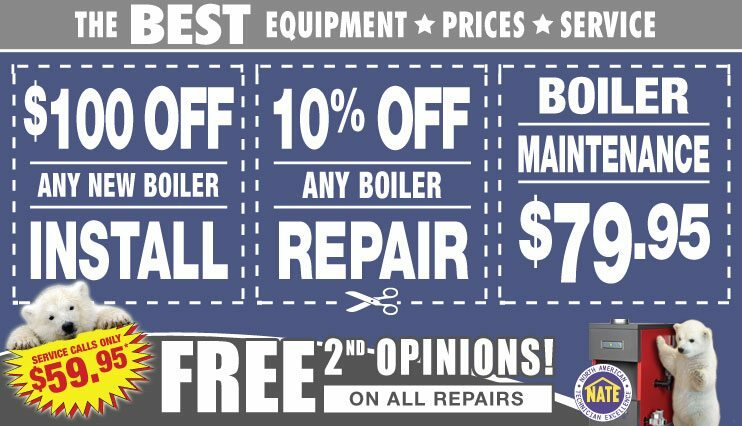 We offer FREE estimates on all boiler installation services in Joliet, IL. We also offer unbeatable pricing on high efficiency boilers from Crown boiler. Go ahead and get an estimate from another boiler company. We know that they can’t touch our prices and service. Boiler Repair in Joliet, IL: Your Has your boiler been acting up? Is it not providing heat, or not enough heat? Is it making scary noises? Don’t worry our Joliet boiler repair experts are available 24 hours a day to keep your radiant heating system running. We offer a FREE 2nd opinion to all of our customers who have a written estimate from one of our competitors. Contact us today to experience the Polar Difference! Boiler Maintenance in Joliet, IL: Boiler Maintenance is perhaps the most important aspect of owning a radiant heating system. Not only does it provide peace of mind, it keeps your unit running safely, reliably and efficiently all winter long. Contact us today to learn more about our boiler maintenance services in Joliet, IL.